Depending on how young you are, you might remember a band called Mindfunk. This band gained some popularity at the beginning of the nineties, and they made a couple of fine albums which I listened a lot to back in the day. The former Celtic Frost drummer Reed St. Mark was a member of the band, and so was Louis Svitek (M.O.D) just in case you want your trivia in place. When I put this debut CD in the player the first time, I thought for a second that Mindfunk had come back! But, no, this is a Spanish band who are testing the boundaries of rock music and probably having fun doing so. 'Wolfhead' has many fine moments, Cul de Sac being one of them. Black Sabbath, Alice in Chains and, surprisingly, Bathory (!) are being explored in particular. It's interesting to hear how the Spaniards are trying to navigate in 30 years of music history, and I like it a good deal of the way, but I must also acknowledge that the attempt at Viking metal, Sons of Asgard, doesn't really work the way a Bathory song does. The main issue for Wolfhead is the song writing and the testing of styles. I like diversity and variation, but there still has to be coherence, and there isn't throughout the album. The choice of Pink Floyd's Wish You Were Here is an understandable one, but backfires a bit; it has been done better by so many others. 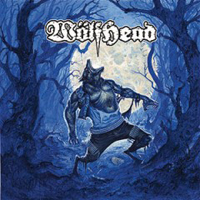 Anyway, give it a chance - we'll probably hear more from Wolfhead in the future!